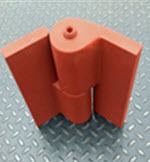 Specialty hinges for industrial applications at Kiesler Machine Inc.
Are you looking for specialized hinges to connect two solid objects securely? If yes, then you are at the right place. Welcome to Kiesler Machine’s specialty hinge section, where you can find a wide variety of special hinges to choose for your specific applications. 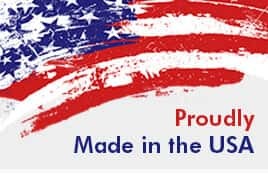 We are prominent in the market, delivering double acting, piano, garage door hinges, and much more. All these hinges are intelligently designed and precision machined after careful analysis of customers’ preferences and requirements. Robust construction to withstand heavy shocks and vibrations. Manufactured with a compressive coating to prevent rusting. Withstand harsh chemicals, solutions, and other contaminants. Possess extreme load bearing capacity. Readily available in right or left hand configurations. 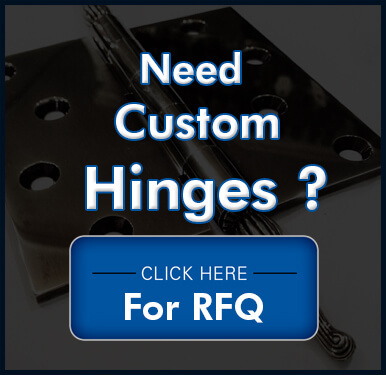 Let us know if you cannot find the right hinge that serves your applications. 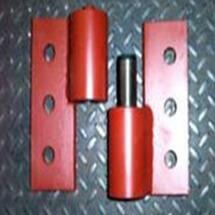 We also customize products to meet your application requirements. This helps us provide specialty hinges in the preferred height, leaf thickness, weight, and finish. We have what you need. With an extensive selection of specialty hinges, we help you keep your heavy duty doors and gates securely in place. We are here to fulfill your requirements on time, without compromising on the quality!